We offer a diverse range of customized 3 Layer Blown Film Machines to suit a customer's specific requirement. 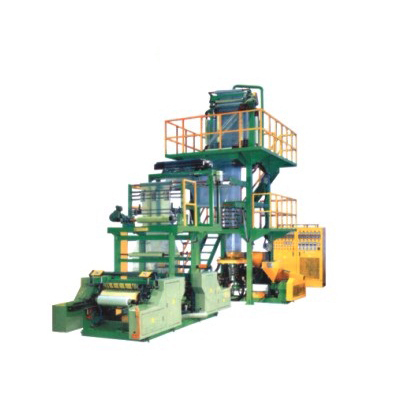 Our most appreciated Multilayer Blown Film Machines are available with outputs ranging from 70 kgs/hr. to 500 kgs./hr. and lay-flat widths ranging from 100mm to 2000mm for processing polymers as LD, LLD, HDPE ETC. Multilayer Blown Film Machines incorporate advanced features like grooved feed barrel. Barrier screw, dosing system, Liquid PIB dosing system, manual as well as automatic screen changer, Rotating Die / platform/ Haul-off Unit, internal bubble cooling, automatic bubble cage, online thickness monitoring and control, 2/4 station surface and center winders, Auto Tension Control, Corona Treaters etc. for longer life, higher productivity and better quality.